Los Angeles is the largest city in the state of California and the second largest in the United States. Often abbreviated as L.A. and nicknamed The City of Angels, Los Angeles has an estimated population of 3.8 million and spans over 498.3 square miles (1,290.6 km2) in Southern California. Click Here for more information on the weather in Los Angeles, including a daily forecast, and a yearly average on high/low temperatures, rainfall and daily sunshine hours. The Palm...The Classic American Steak House is renowned for its USDA prime aged steaks, jumbo Nova Scotia lobsters, Italian dishes, the freshest of seafood, warm smiles, outstanding service and an atmosphere like nowhere else. In Los Angeles, there is no better place to see and be seen than at The Palm. The famed walls at The Palm in Los Angeles adorn caricatures of celebrity regulars that include Mike Myers, Adam Sandler, Billy Crystal and Brian Dennehy to name a few. Mélisse is a Mobile 4-Star American/French fine dining restaurant under the direction of Chef/Owner Josiah Citrin. His cooking is based on classical French technique, using new and innovative ingredients and methods to create some of the finest food in all of Los Angeles. Mélisse is named for the French lemon balm herb, which is indigenous to the Mediterranean and used often in Citrin’s specialty menus. Years of intense study in preventative medicine at the Ayurvedic Institute in New Mexico lead The Art of Tea to become the world's leading purveyor in organic specialty teas. The combination of Yamashiro and the specialty teas is like no other. Tea has wonderful health attributes and Yamashiro offers cutting edge CalAsian cuisine in a relaxing atmosphere unsurpassed in the Los Angeles area. Ketchup takes classic American cuisine and catapults the dishes into the modern age: menu insirations based on childhood favourites, recreated with a goumet, upscale twist. The Dolce group takes the traditional American grill: boring and predictable, and reinvents the concept to create Ketchup: youthful, innovative, and fun. On Venice Boulevard in the upcoming Los Angeles neighborhood of Mar Vista lurks a little hideaway for people who love soap. Well, not just soap. Also great smells. And fine skin products. And silly puns. And enthusiasm. Enthusiasm for natural handmade soap and fine skin products that are named with silly puns. Rodeo Drive, between Santa Monica Blvd. and Wilshire Blvd in Beverly Hills, is a world famous three block long stretch of Los Angeles' best shops and boutiques. It is one of the most expensive shopping districts in the world and its shop owners have paid a hefty price tag for real estate there. 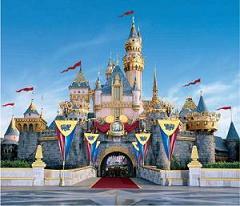 This Los Angeles business district is not only a shopping district but also a tourist attraction. 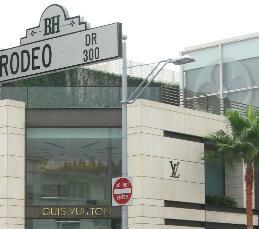 Many of Hollywood's biggest stars shop on this street as well as coming to enjoy the many restaurants and boutiques. Bijan, at 420 Rodeo Drive, is actually the single most expensive shop in the world. Marilyn Monroe - June 1st 1926 - August 5th 1962, American Actress, singer and model.